This Federal Highway Administration (FHWA) project (DTFH61-14-R-00036) seeks to research and update FHWA technical references for design of large diameter open-end piles (LDOEPs) using the load and resistance factor design (LRFD) framework. One task of this study is the development of a database of LDOEP load tests and performance data for the evaluation of bearing resistance methods and calibration of LRFD resistance factors. As part of this task, an updated version of the FHWA Deep Foundation Load Test Database (DLFTD) was created, bringing in all of the existing data as well as the new data collected during this study. 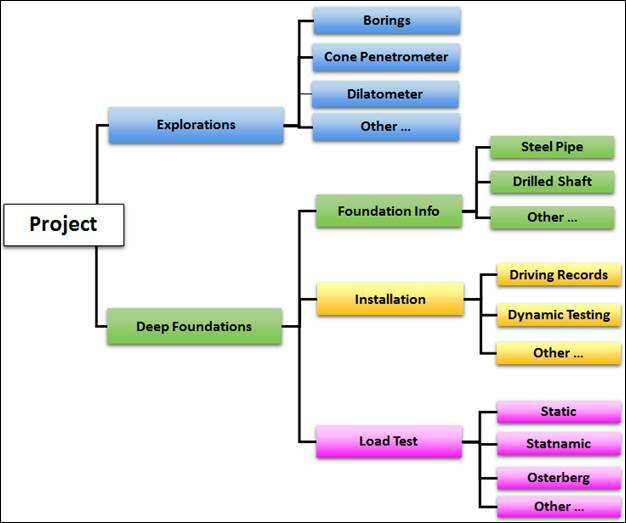 This database user manual provides an overview of the new deep foundation load test database developed for the project. The document describes database installation procedures and the DeepFoundationView module. This user manual also describes the database query tools along with the process for data retrieval, data entry, and data visualization. This report will be of interest to geotechnical and foundation engineers and those concerned with the axial performance of LDOEPs and other deep foundation elements, who intend to use the new deep foundation load test database (DLFTD v.2). The FHWA Contracting Officerâ€™s Representative (COR) was Jennifer Nicks, HRDI-40. This Federal Highway Administration (FHWA) began the development of the first version of the Deep Foundation Load Test Database (DLFTD) in the 1980s. Over 1,500 load tests were collected and stored for various types of piles and drilled shafts in different soil conditions. As part of a new FHWA research study initiated in 2014 to investigate and update FHWA technical references for the design of large diameter open-end piles (LDOEPs) using the load and resistance factor design (LRFD) framework, load tests on LDOEPs had to be collected. As part of this task, an updated version of the FHWA Deep Foundation Load Test Database (DLFTD v.2) was created, bringing in all of the existing data as well as the new data collected during this study. This DFLTD v.2 user manual provides an overview and instruction and the use of the new deep foundation load test database developed for the project. The document describes database installation procedures and the DeepFoundationView module. This user manual also describes the database query tools along with the process for data retrieval, data entry, and data visualization. 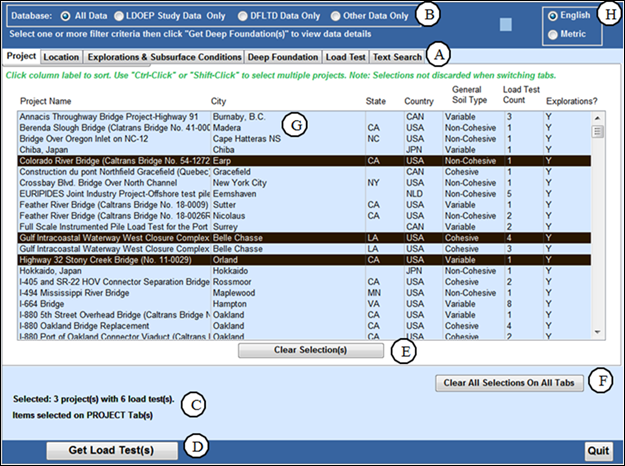 This updated version of the Deep Foundation Load Test Database (DFLTD v.2) was developed as part of the Federal Highway Administration (FHWA) research project, Bearing Resistance of Large Diameter Open-End Piles (2014–2017), and provides a collection of deep foundation load test data for researchers and practicing engineers. 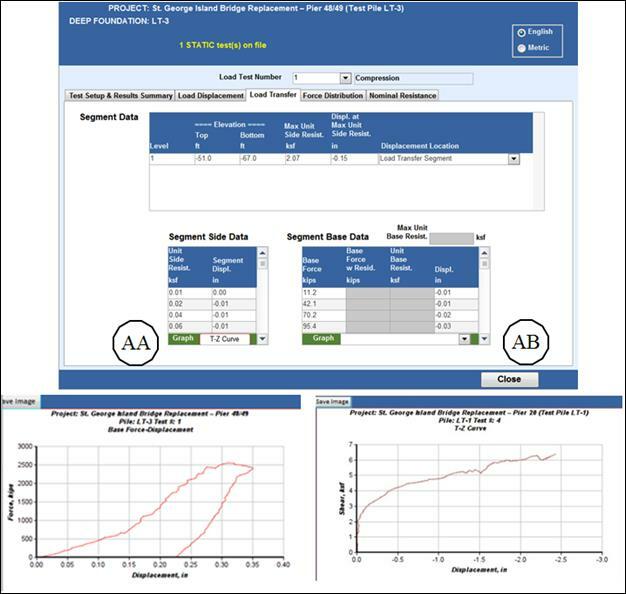 Potential applications of this database include reviewing previous load test case histories, estimating side and end bearing resistance (based on sites with similar conditions), and calibration of resistance factors. Load test types in the new database include axial static, rapid (Statnamic), and dynamic load tests. Foundation types include open- and closed-end steel pipe piles, concrete cylinder piles, steel H-piles, pre-stressed concrete piles, drilled shafts, augercast piles, micropiles, timber piles, and others. 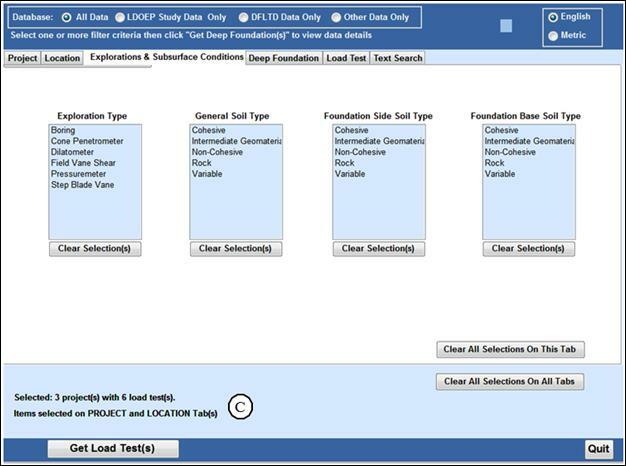 Deep foundation load test data from the existing FHWA Deep Foundations Load Test Database (DFLTD, Version 1.0, 2007) was transferred to the current database. DeepFoundationData contains only data tables. 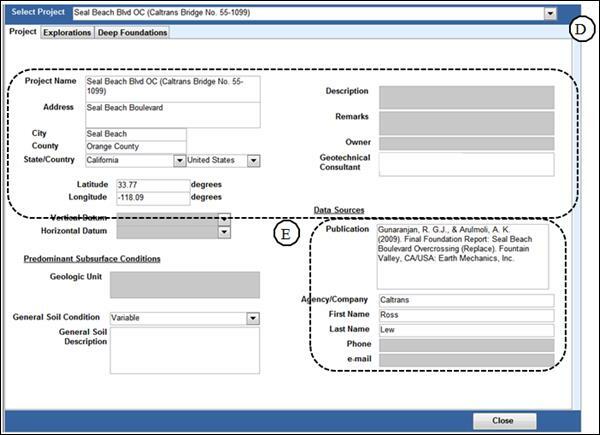 DeepFoundationView contains the forms, queries, and auxiliary tables required for data inquiry, viewing, and export. This module allows users to access data in DeepFoundationData, but not to make any changes. DeepFoundationView is intended for those who would use the data for practical applications or research. 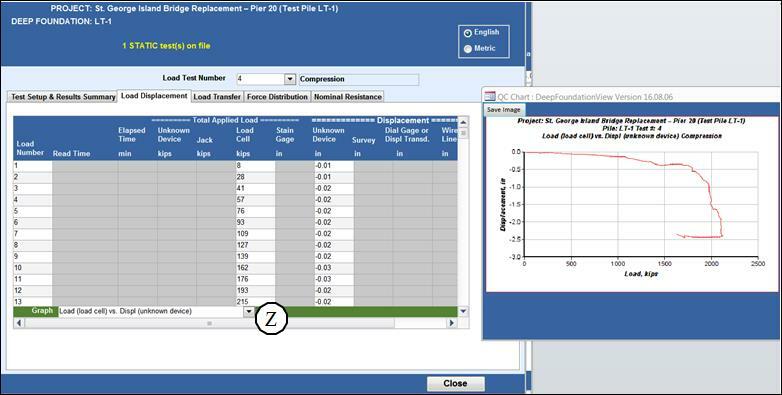 The load test database uses Microsoft Access 2013 database development software and Advanced Software Engineering’s Chartdirector™ graphics utility. The database and applications have been created for use on a Microsoft Windows 7 or Windows 10 operating system and a Microsoft Access 2010 database or greater. The appendix includes a listing of all database lookup tables and defines all the field names in the database. Data included in the database was obtained from a large number of sources. These sources primarily included conference proceedings, journal articles, and engineering reports. Native digital data for the various in situ and load tests was generally not available for these sources. Therefore, the LDOEP data including subsurface explorations, dynamic testing, and load test data (force, displacement, force distribution, and load transfer) is digitized from these publications. There may be some slight variation between the original publication and the digitized values included in the database. Save the downloaded compressed “zip” file in a folder of the user’s choice. Extract the three files from the zip file. Recommendation: the database will run faster if saved locally. Running the database from a network server may slow performance. The resulting folder should look similar to figure 1. Figure 1. Zip file contents. Run the application chartdir_com.exe to install the graphics utility. Microsoft Access must be installed on the computer. Prior to running the database for the first time, the use of macros must be enabled on Microsoft Access. To enable macros, start Microsoft Access and go to File>Options>Trust Center>Trust Center Settings>Macro Settings and select Enable All Macros. Depending on the computer user’s rights and permissions, a person with computer administrative privileges may be required to change these macro settings. Depending on the version of Microsoft Access, the databases may not function without macros enabled. Figure 2. Microsoft Access macro settings. Once macros are enabled, double-click on the DeepFoundationView application to run the database. A general diagram showing the structure and operational flow of the database is presented in figure 3. See figure 28 in the appendix for a more detailed structural chart. This Users Guide discusses the DeepFoundationView application, which is used to search, view and export data to Microsoft Excel™ files. The database sign convention is positive for compressive loads and upward displacement. Tension loads and downward displacement are negative. The sign convention is used for the LDOEP study data. The majority of the previous DFLTD data follow this sign convention with a few exceptions. The DeepFoundationView application allows the user to query the database. 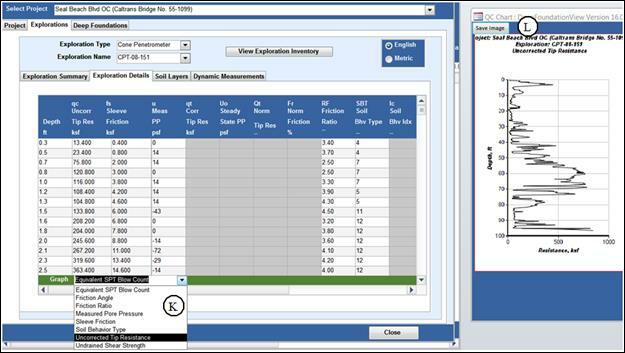 When the application is first opened (figure 4), the user is able to create queries to identify the load test results by project; location; exploration and subsurface conditions; deep foundation type; installation methods; and load test criteria. The text search tab (figure 4-A) allows searching by the project name, description fields, and location fields. Figures 4, 5, 6, 7, and 8 show the search tabs and criteria that can be used to create a query. Perform queries by selecting one or more criteria on any of the available tabs (figure 4-A). The radio buttons (figure 4-B) allow users to search various portions of the database including: all data, only LDOEP study data, DFLTD data, or other new data. 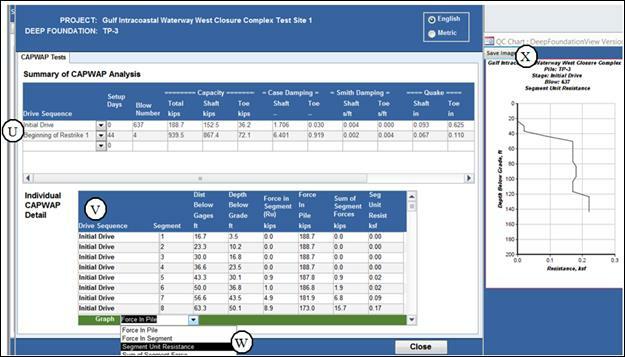 Perform queries by selecting one or more items within the Project, Location, Explorations & Subsurface Conditions, Deep Foundation, or Load Test tab(s). Selections are cumulative for all the tabs, except Text Search.The Text Search tab searches the database text fields including project name, project description, location, and deep foundation designation. At the bottom of each tab (figures 4-C, 5-C, 6-C, 7-C, and 8-C), the number of results that match the selected criteria is displayed. Click on Get Load Tests (figure4-D) to see the query results. Clear the selections on a single tab by clicking the “Clear Selection(s)” button (figure 4-E). Alternatively, clear all selections on all tabs by clicking the “Clear All Selection on All Tabs” button (figure 4-F). Toggle between English and metric units by clicking the radio box (figure 4-H). Most tabs contain a radio button to switch between English and metric units. The project tab (figure 4) allows direct selection of load tests by project. The project tab provides summary info including project name, city, State, country, general soil type, load test count, and availability of explorations. Navigate within the project window (figure 4-G) using the mouse and scroll bar on the right. 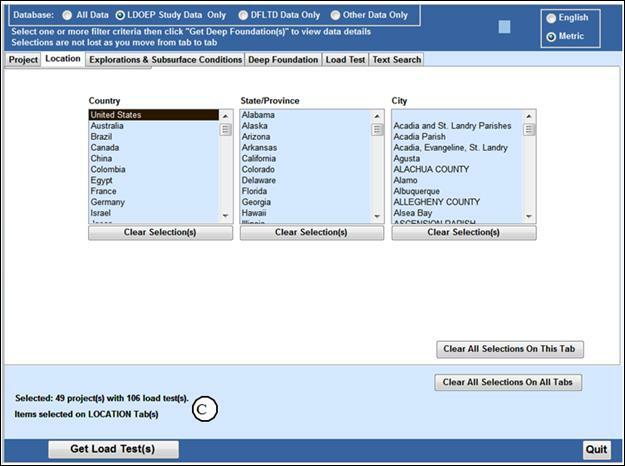 The location tab (figure 5) allows the user to select load tests by the country, State, and city where the test was performed. The location tab only lists locations with load tests in the database. If a location is not listed, it does not have load tests in the database. 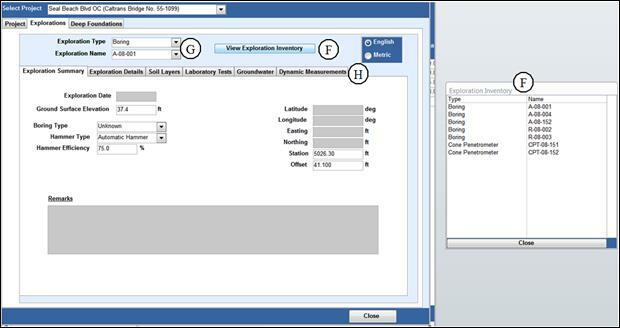 The Exploration & Subsurface Conditions tab (figure 6) allows the user to select the exploration type, general soil type, foundation side soil type, and foundation base soil type. The database uses the broad soil type classifications of cohesive, non-cohesive, intermediate geomaterial, rock, and variable. The soil type is classified as uniform condition if at least 70 percent of the soil along the pile side or base consists of the specified material type. Variable sites consist of a combination of soil types where combined layers for each soil type are less than 70 percent of the total. Figure 6. Explorations and Subsurface Conditions tab. 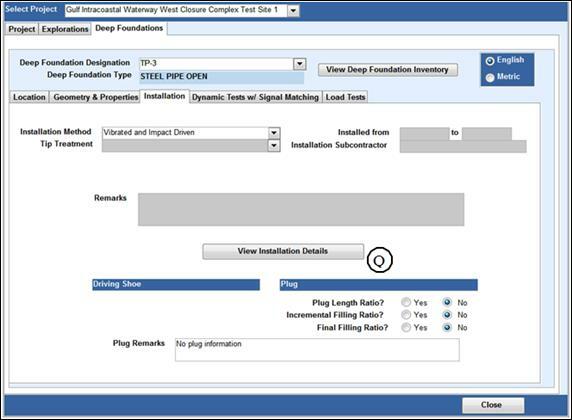 The Deep Foundations tab (figure 7) allows the user to select foundation type and installation method. In addition, the foundation dimensions can be limited by entering the desired values into the dimension limits fields (figure 7-I). Toggle between English and metric units by clicking on the radio button (figure 7-J). This tab also includes check boxes that allow users to select projects that include driving records, dynamic testing, or have an artificial plug or constrictor plate. Figure 7. Deep Foundation tab. 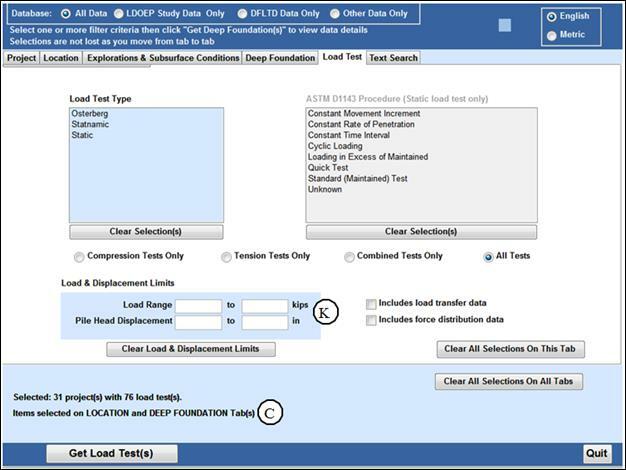 The Load Test tab (figure 8) allows users to select the load test type and American Society for Testing and Materials (ASTM) International D1143 procedure for static load tests. Users can enter the desired limits for load range and pile head displacement (figure 8-K). Additional radio buttons allow users to select compression tests only, tension tests only, combined tests only, or all load test types. Check boxes allow users to include load transfer (i.e. t-z and q-z curves) and force distribution data. Figure 8. Load Test tab. 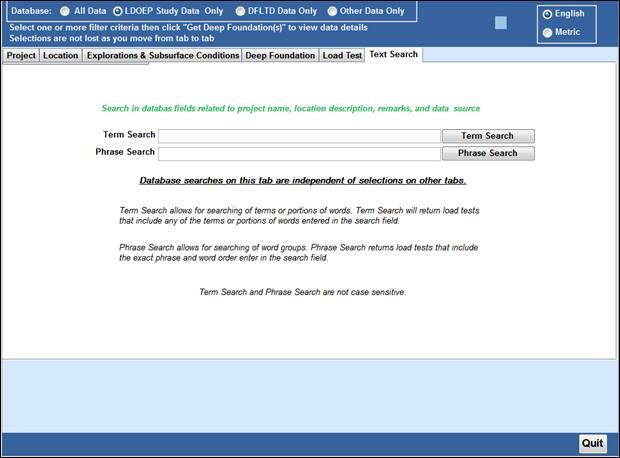 The Text Search tab (figure 9) searches the database text fields including project name, project description, location, and deep foundation designation. Figures 11-E and 16-P provide examples of the fields that can be searched with text search. Terms or phrases entered on the Text Search tab search the database independently of the other tabs shown on figure 9. Term Search allows users to search terms or portions of words. Using Term Search will return load tests that include any of the terms or portions of words included in the search field. Phrase Search allows for searching of word groups. Phrase search returns only load tests that include the exact phrase and word order. Figure 9. Text Search tab. Click the Get Load Test button on the bottom of any tab to create the query results window shown on figure 10. Query results are listed in alphanumerical order. Individual project records are viewed by clicking the View Detail button (figure 10-A). Alternatively, the set of projects can be viewed by clicking the View Details, All button (figure 10-C). Projects can be excluded by checking the exclude box (figure 10-B). The Export List and Export Data functions are discussed in Section 4.3. Figure 10. Query Results tab. After performing a database query, the View Details and View Details, All buttons (figures 10-A and -C) open a new window displaying the desired load test data. The View Details button provides the results from a single project, whereas the View Details, All button provides the records from all projects returned by the query. The new window provides available project, exploration, and deep foundation information on separate tabs and sub-tabs as shown in figure 11. 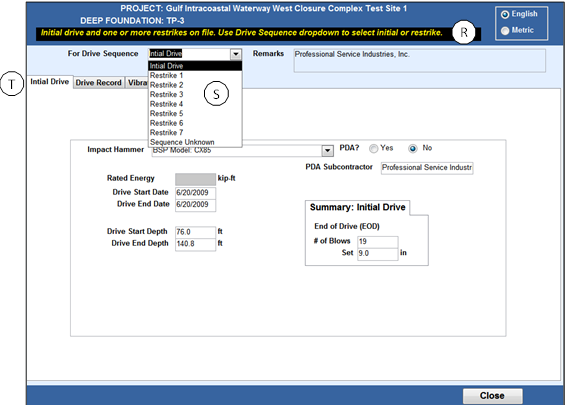 The user can move between selected projects using the Select Project dropdown list in figure 11-D. Projects are listed in alphanumerical order. 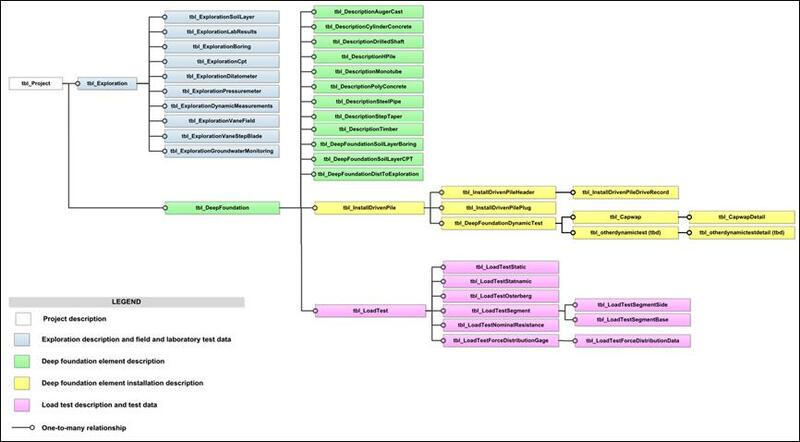 The load test query results list, as shown in figure 10, will include only deep foundations that meet the criteria that the user specified on the database query tabs. However, View Details and View Details, All return load test data by project and therefore may include data that does not meet the criteria. For example, a user could search for open-end steel pipe piles loaded in tension. 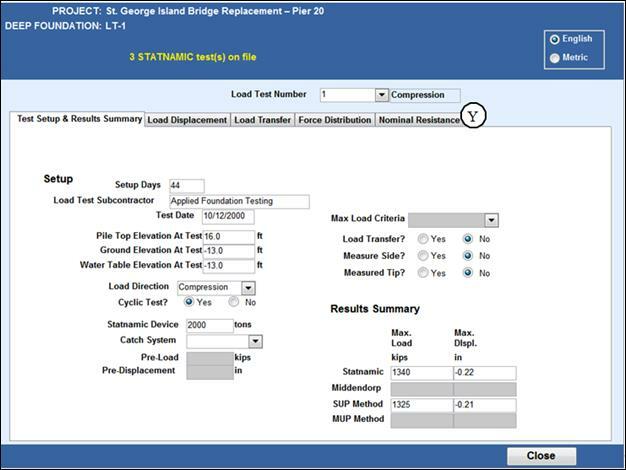 The query results from the Get Load Test(s) button will retrieve a list of tension load tests on open-end steel pipe piles. However, View Details and View Details, All would include projects with the tension load tests on open-end steel pipe piles, as well as all other load test and deep foundation types performed for those projects with tension load tests on open-end steel pipe piles (i.e. the dataset may include compression load tests along with the tension load tests). The key takeaway is that the list of projects will conform to the desired query criteria; however, the projects may contain additional explorations, deep foundations, and load tests that were not included in the query criteria. This tab provides location, data source, and general project information that is applicable to all deep foundations and load tests within a project. The information contained on the Project tab within the View Details tab is shown on figure 11. Figure 11. Project tab within View Details. Figure 12. Explorations tab within View Details. Figure 12 shows the information contained on the Explorations tab. 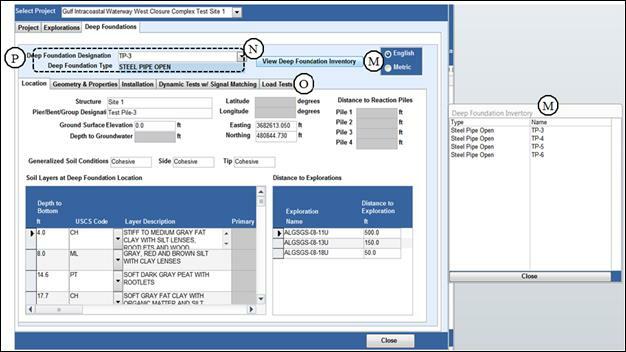 Clicking the View Exploration Inventory button (figure 12-F) provides a complete listing of the available exploration types for a specific project. 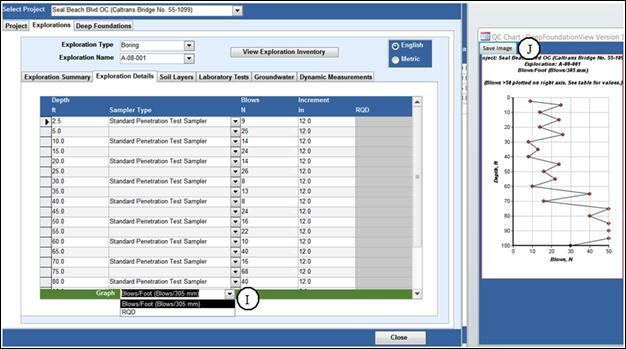 Alternatively, clicking the dropdown arrows for exploration type and exploration name (figure 12-G) reveals the exploration inventory one by one. Additional exploration information for the selected exploration can be reviewed by clicking on any of the tabs shown at figure 12-H. The available types of exploration information include exploration details (standard penetration test (SPT), cone penetration test (CPT), etc. ); soil layers; laboratory tests; groundwater; and dynamic measurements (shear wave, compression wave velocities, etc.). Different tabs are available depending on the exploration type. Within the Exploration Details tab, the graphical plotting utility allows users to create plots of SPT blow count as a function of depth (figure 13-I) for borings, or any of the available parameters for the CPT (figure 14-K) explorations. Images for any of these plots are exported to a file by clicking the Save Image button (figures 13-J and 14-L). The digital data is exported using the Export Data function discussed in Section 4.3. Native digital data for the various in situ tests was generally not available during data collection of the LDOEP study. The plots of SPT blow count are based on the numerical values shown in the Exploration Details tab. The LDOEP study CPT data was primarily digitized from plots in publications. There may be slight variation between the original publication and the digitized CPT Test values included in the database. The source of the DFLTD data is unknown. Figure 13. Exploration details within Explorations Tab. Standard Penetration Test. Figure 14. Explorations Details within Explorations Tab. Cone Penetration Test. Figure 15 shows the soil layers tab, where generalized soil layering is provided for the project. The generalized soil layering information may include engineering and index properties that can be viewed by scrolling right in the tab. Figure 15. 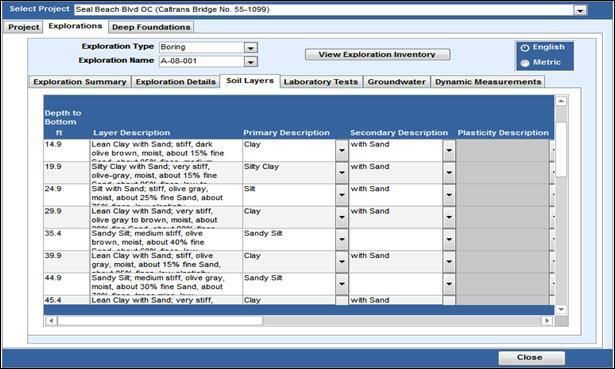 Soil Layers tab within Explorations. Figure 16 shows the information contained on the Deep Foundations tab. Clicking on the View Deep Foundation Inventory button (figure 16-M) provides a complete listing of the available deep foundation types and their respective designations for a specific project. 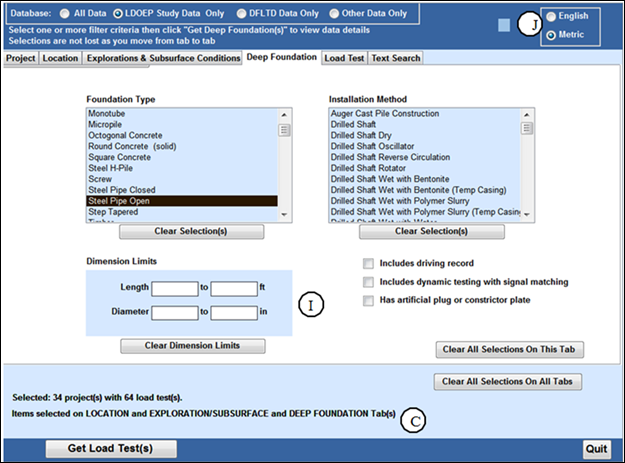 Alternatively, clicking the dropdown arrows for deep foundation designation (figure 16-N) reveals the deep foundations inventory one by one. The available Deep Foundation information for the selected project can be reviewed by clicking on any of the tabs shown in figure 16-O. The available types of deep foundation information include location, geometry and properties, installation, dynamic tests, and load tests. Figure 16. Deep Foundations tab within View Details. Figure 17 shows a view of the Installation tab for piles. The available fields depend on the deep foundation type. The View Installation Details button (figure 17-Q) opens a new window of installation details. Figure 17. Installation tab within Deep Foundations. Figure 18 shows the Installation Details for a driven pile. The bar across the top of the window (figure 18-R) indicates the number of drive sequences on file that can be individually selected using the Drive Sequence dropdown list (figure 18-S). The initial drive/restrike information, driving record, and vibratory hammer information are available by clicking the corresponding tabs (figure 18-T). Figure 18. View Installation Details. Figure 19 provides a sample of the CAse Pile Wave Analysis Program (CAPWAP) Analysis data. To access this data, click on the Dynamic Test w/Signal Matching tab (figure 16-O), and then click the View CAPWAP Test button. The upper table provides a summary of the CAPWAP analyses with the total capacity and key parameters for each blow or drive sequence analyzed (figure 19-U). The lower table provides the detailed CAPWAP data along the pile length for an individual blow or drive sequence (figure 19-V). The detailed CAPWAP lower table data can be viewed for an individual drive sequence by clicking the respective row of the upper table (figure 19-U). Graphs of the Force in Pile, Force in Segment, Segment Unit Resistance, and Sum of Segment Force are created using the graphing utility (figure 19-W), if data is available. Images for any of these plots are exported to a file by clicking the Save Image button (figure 19-X). The digital data is exported using the Export Data function discussed in Section 4.3. Figure 19. CAPWAP Test Results within Dynamic Tests w/ Signal Matching tab. The Load Tests subtab (figure 16-O), within the Deep Foundations tab, contains information related to Static, Statnamic, and Osterberg axial load testing. Figures 20 and 21 provide examples of the Static and Statnamic load test results that are contained within the tab. 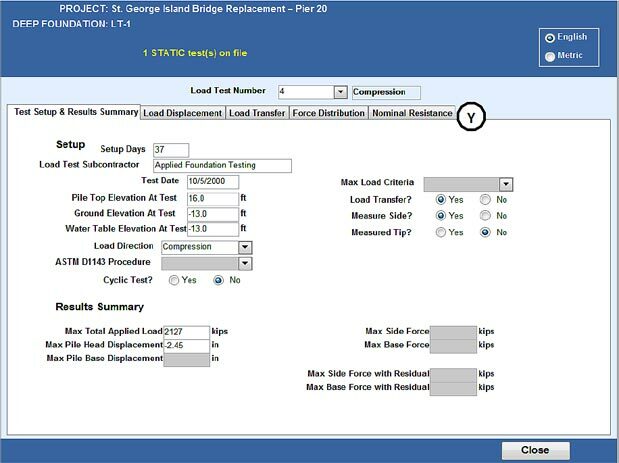 Both the Static and Statnamic load test results (figure 20-Y and 21-Y) include tabs of Test Setup & Summary, Load Displacement, Load Transfer, Force Distribution, and Nominal Resistance. 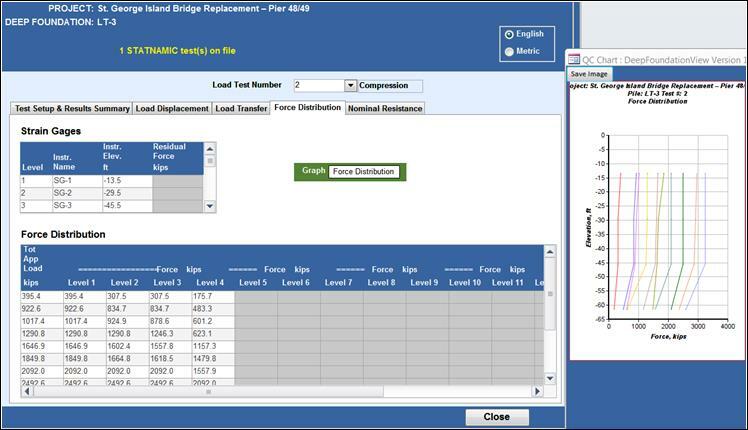 Examples of load displacement, load transfer, and force distribution data, including graphing options, are shown in figures 22, 23, and 24 for static load tests, and in figures 25, 26, and 27 for Statnamic load tests. The Osterberg test tab contains the same Load Displacement, Load Transfer, Force Distribution, and Nominal Resistance tabs, as well as information about the Osterberg capacity. Figure 20. Load Test Results within Load Test tab. Static Load test. Figure 21. Load Test Results within Load Test tab. Statnamic Load Test. Figure 22. Static Load Test Graphics Options within Load Test tab. Load Displacement tab. Graphs are generated using the dropdown lists shown in figures 22-Z, 23-AA and 23-AB, and 24-AC. The available plotting options for base resistance are shown in figure 23-AB. Side resistance transfer curves will be plotted for all available levels similar to figure 26-AD. The plotting options available for the static load test data are also available for the Statnamic and Osterberg cell load tests data. Figure 23. 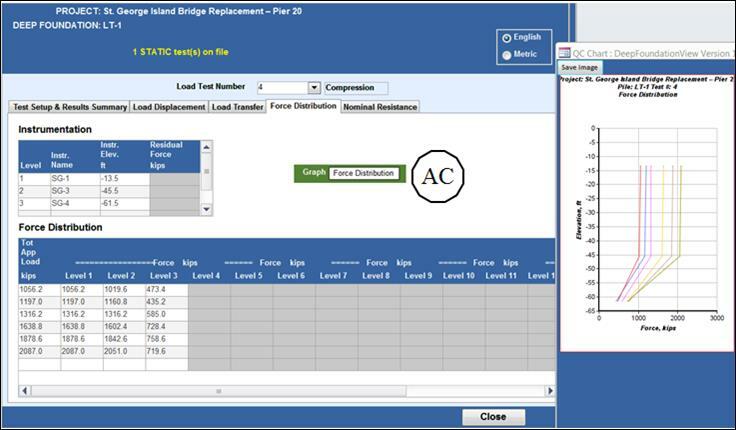 Static Load Test Graphics Options within Load Tab test. Load Transfer tab. Figure 24. Static Load Test Graphics Options within Load Test tab. Force Distribution tab. Figure 25. Statnamic Test Graphics Options with Load Test tab. Load Displacement Tab. Figure 26. Statnamic Test Graphics Options within Load Test tab. Load Transfer tab. Figure 27. Statnamic Test Graphics Options within Load Test tab. Force Distribution tab. The database sign convention is positive for compressive loads and upward displacement. Tension loads and downward displacement are negative. This sign convention is used for the LDOEP study data. The majority of the previous DFLTD data follow this sign convention with some variations for individual cases. Native digital data for the static and Statnamic load tests was generally not available during data collection of the LDOEP study. The load displacement, load transfer, and force distribution data was digitized from plots in the available publications. There may be some slight variation between the original publication and the digitized values included in the database. Query results from the Get Load Test(s) button can be exported using the Export List and Export Data buttons shown in figure 10-C. Both buttons export to Microsoft Excel format files. The Export List file contains all the fields shown in figure 10 for the selected projects. The units for the Export List file will be in either English or metric as selected on the query results page. Row 1 of the Microsoft Excel file contains the column label and corresponding units at the end of the label as appropriate. Subsequent rows list the project details as shown in figure 10. Some row entries contain abbreviations; an alphabetical list of these abbreviations and associated descriptions is provided in the appendix, in table 2. The Export Data button generates Microsoft Excel files that contain the data for the selected entries. One Microsoft Excel workbook is created for each project name. Ten or more worksheets are created within each project workbook to organize the large amount of project information. The worksheet names correspond to the database tables listed in figure 28 and table 1 in the appendix, with columns or rows for each of the table fields listed. Some entries contain abbreviations; an alphabetical list of these abbreviations and associated descriptions is provided in table 2 in the appendix. The worksheet column and row labels contain the corresponding units at the end of the label as appropriate. The units will be in either English or metric as selected on the query results page. Native digital data for the various in situ and load tests was generally not available. The in situ and load test data was digitized from plots in publications. Additionally, some projects include multiple in situ tests such as the CPT, with a single CPT containing over 1,000 data points. The Filter command, under the Data Menu in Microsoft Excel, can be used to quickly filter the data to present only the desired CPT, load test, load transfer curve, etc. The database sign convention is positive for compressive loads and upward displacement. Tension loads and downward displacement are negative. The sign convention is used for the LDOEP study data. The majority of the previous DFLTD data follow this sign convention with some variations for individual cases. Figure 28. Database Table Relationships. Table 2. Database Codes, Definitions and Usage in Database.